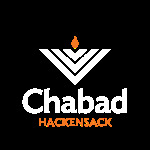 Chabad of Hackensack is excited to launch a new initiative: Passover is coming. And some families don't even have the basic needs...They can't afford meat for Passover... Wine...Or even Matzah...We want to ensure that EVERY family in Hackensack has their Passover needs met So they can celebrate Passover joyfully! If you need help, please click here or contact Rabbi Mendy at 201.503.3770 [All requests will be kept confidential]. If you can help us help others, please donate below. Together we will ensure that everyone will have a happy and Kosher Passover!